The photographs show progressively deeper levels within the cell, from the epivalve (far left) to close to the hypovalve (far right). Click on the image for an enlarged version (which opens in a new window). 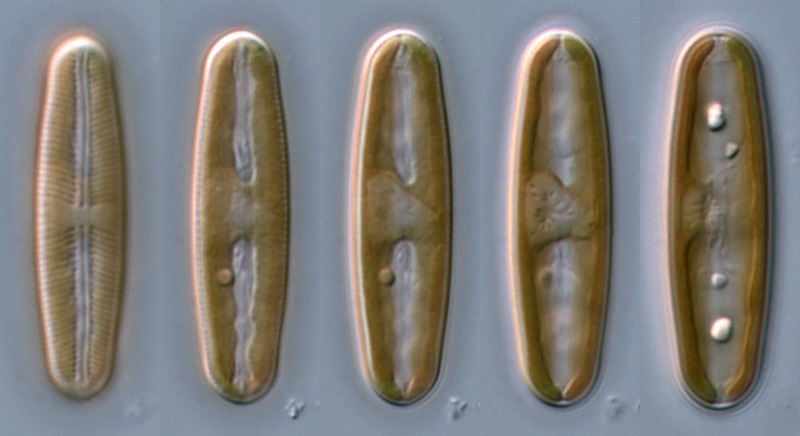 At the moment, some basic information about diatoms can be found on the ADIAC site. Our ambition is to open a new series of pages about diatoms and these will be completed as soon as possible. At the moment, you will find that the links down the left-hand margin are 'dead'. However, the 'Search' facility works, providing access to older parts of Algae World. 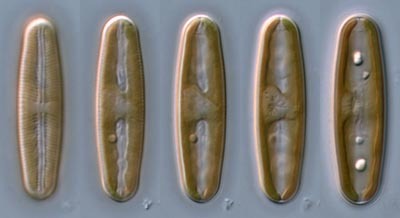 The Entry page has a Search facility covering the ADIAC and DIADIST sites, as well as Algae World.